Explore anywhere in Italy with this topographic map which is now enhanced with highly detailed maps for nine Italian regions. 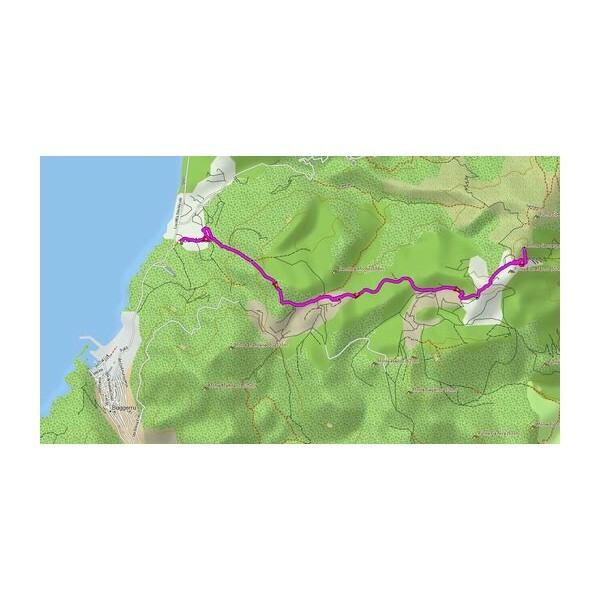 With fully routable maps, it contains versatile route planning for hiking as well as climbing. 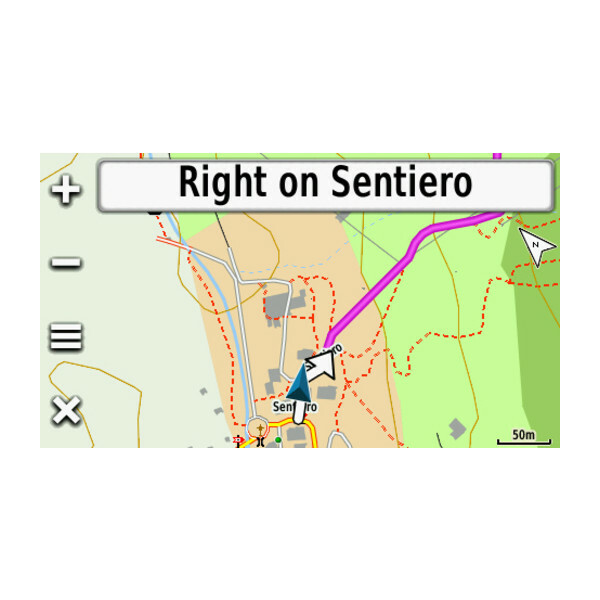 Compatibility: Compatible with Garmin Atemos 100/K 5 System, 50 and K 5, Astro 320, 430, D2 Charlie, Dakota 20, Descent Mk1, Edge 800, 810, 820, 1000, 1030, Explore 820, Explore 1000, Touring, Touring Plus, epix, eTrex 20, 20x, 30, 30x, Touch 25, Touch 35, Touch 35t, fenix 5X, GPSMAP 62s, 62sc, 62st, 62stc, 64, 64s, 64sc, 64st, 78, 78s, 78sc, 276Cx, Montana 600, 600t, 610, 610t, 650, 650t, 680, 680t, Monterra, Oregon 200, 300, 400c, 400i, 400t, 450, 450t, 550, 550t, 600, 600t, 650, 650t, 700, 750, 750t. 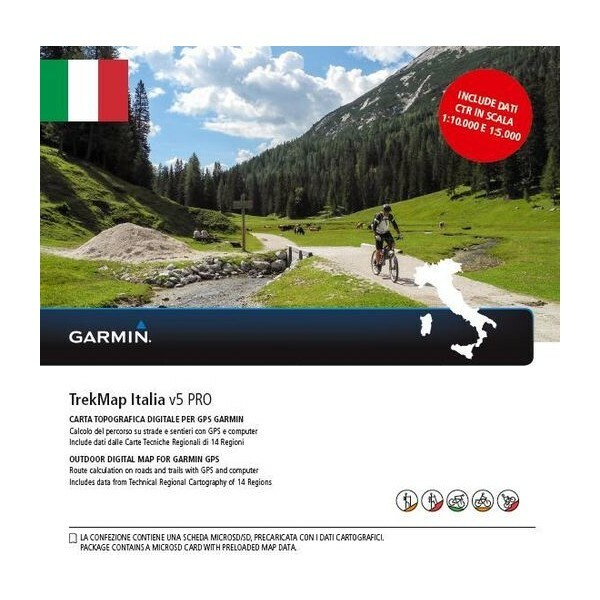 Let Garmin guide you in your outdoor adventures or holidays across Italy with the most detailed full coverage recreational map. Explore anywhere in Italy with this topographic map which is now enhanced with highly detailed maps for nine Italian regions. 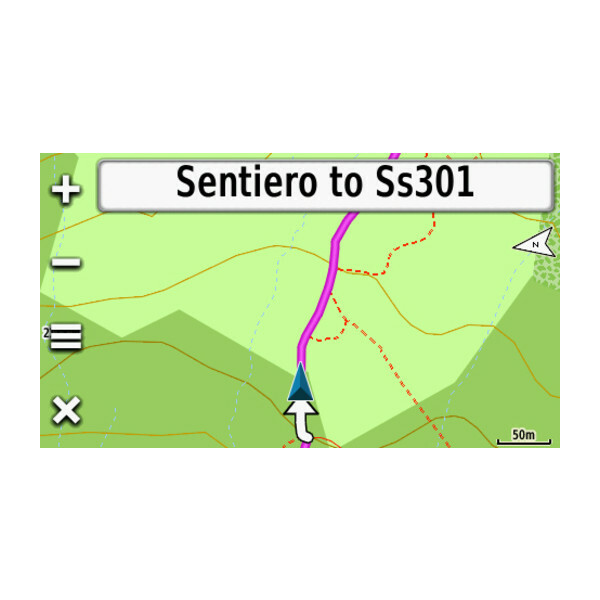 With fully routable maps and Garmin ActiveRouting¹, it contains versatile route planning for hiking as well as climbing. 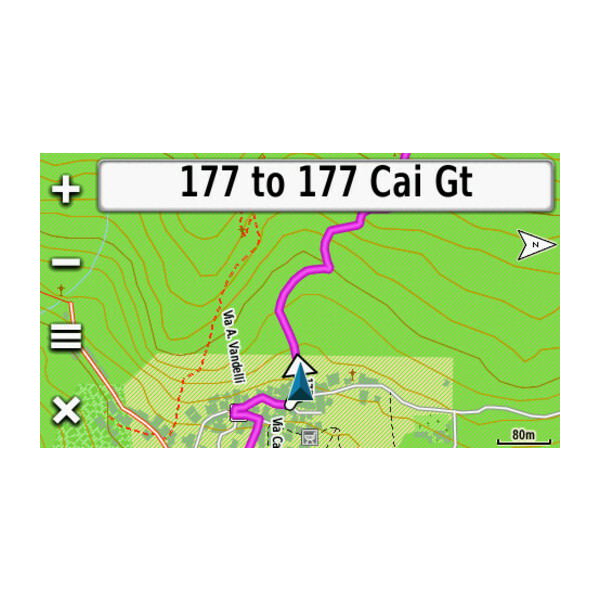 Topo Italy v4 PRO maps come supplied on microSD/SD card, enabling you to insert the SD or microSD card directly in your compatible Garmin device. 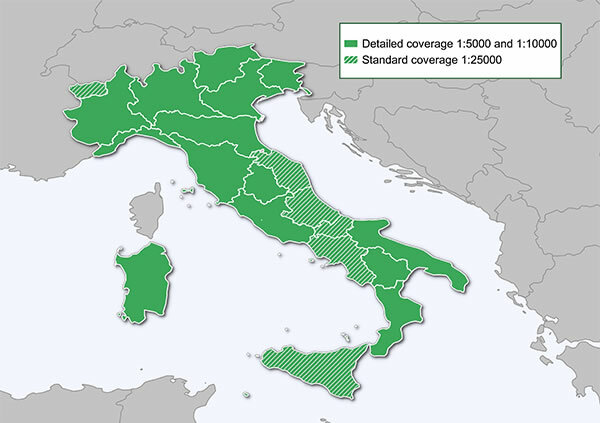 ¹ActiveRouting functionalities supported by Montana, Monterra, Edge 810/1000, GPSMAP 62/64 and Oregon 6xx/x50 Series. Garmin Atemos 100/K 5 System, 50 and K 5, Astro, 320, 430, D2 Charlie, Dakota 20, Descent Mk1, Edge 800, 810, 1000, 1030, Touring, Touring Plus, epix, eTrex 20, 20x, 30, 30x, Touch 25, Touch 35, Touch 35t, fenix 5X, GPSMAP 62s, 62sc, 62st, 62stc, 64, 64s, 64sc, 64st, 78, 78s, 78sc, 276Cx, Montana 600, 600t, 610, 610t, 650, 650t, 680, 680t, Monterra, Oregon 200, 300, 400c, 400i, 400t, 450, 450t, 550, 550t, 600, 600t, 650, 650t, 700, 750, 750t.